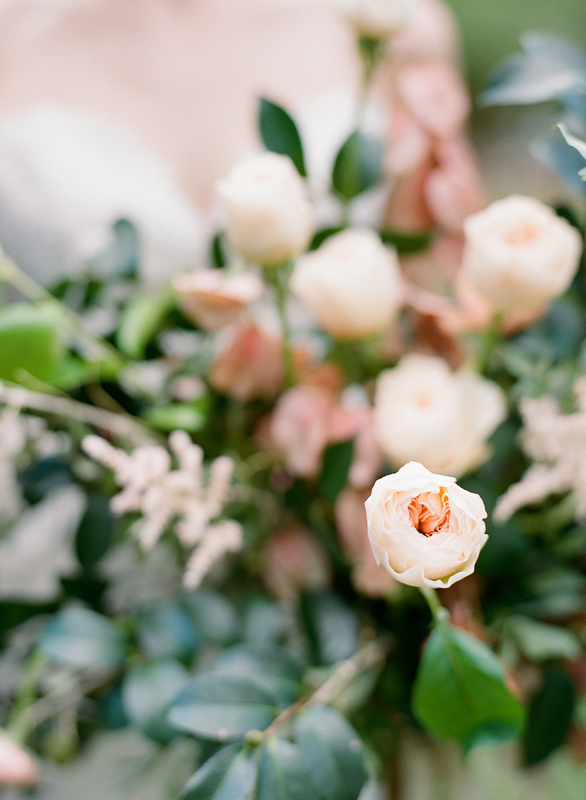 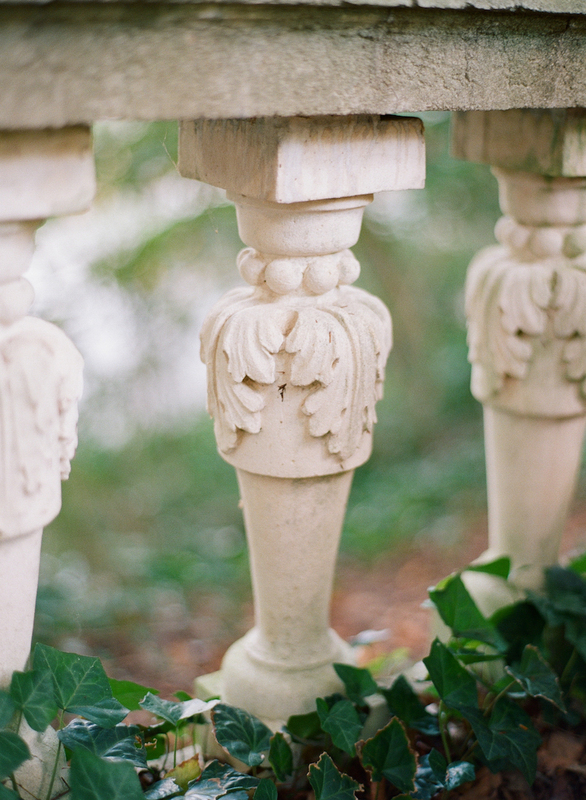 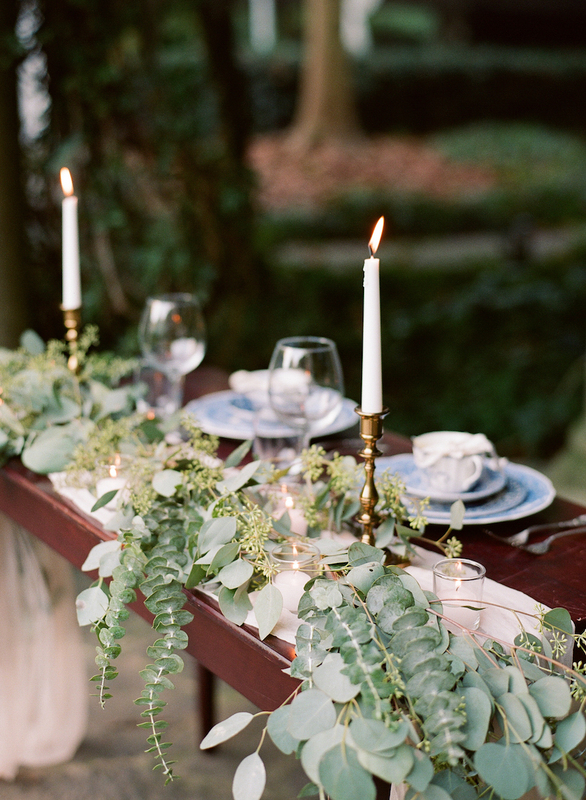 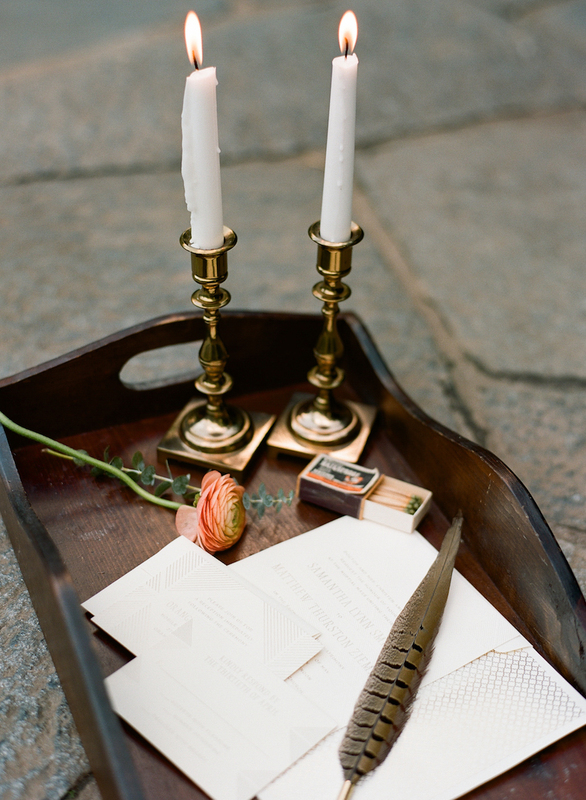 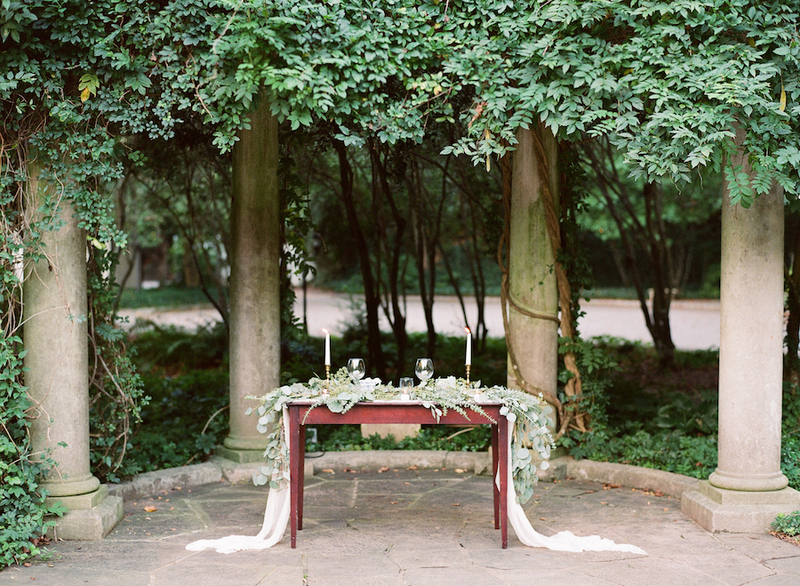 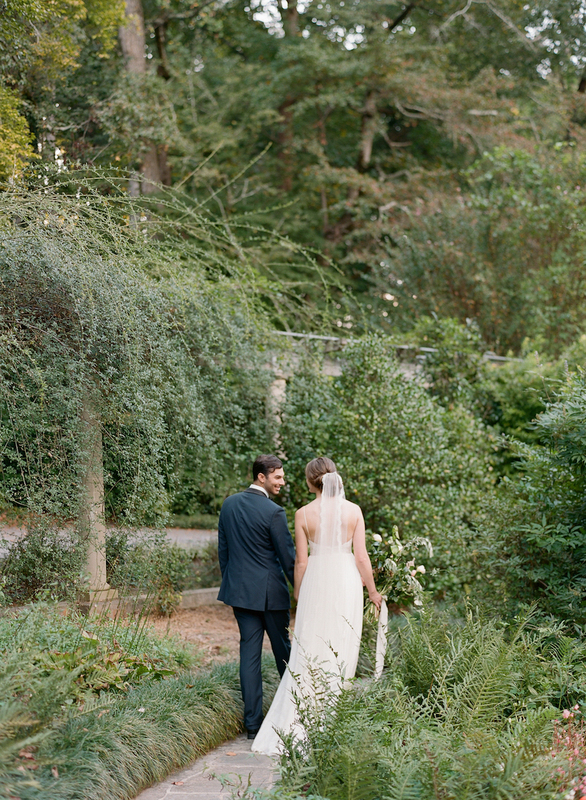 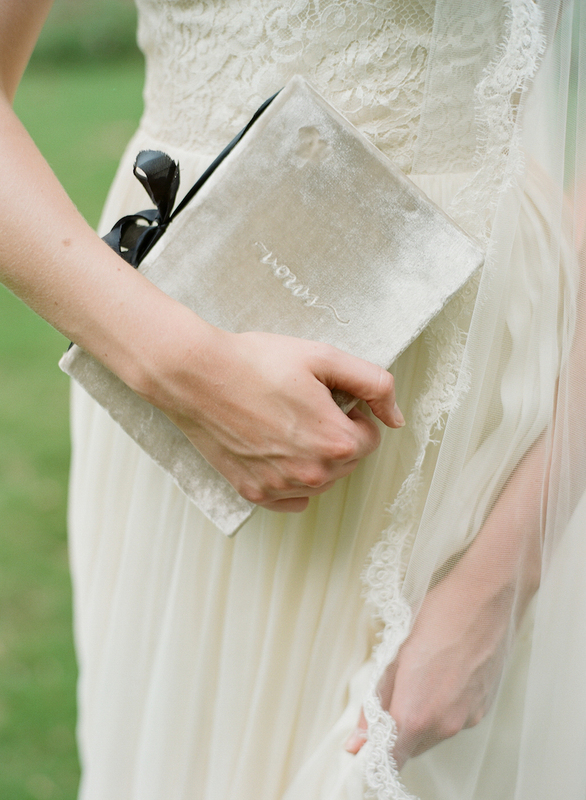 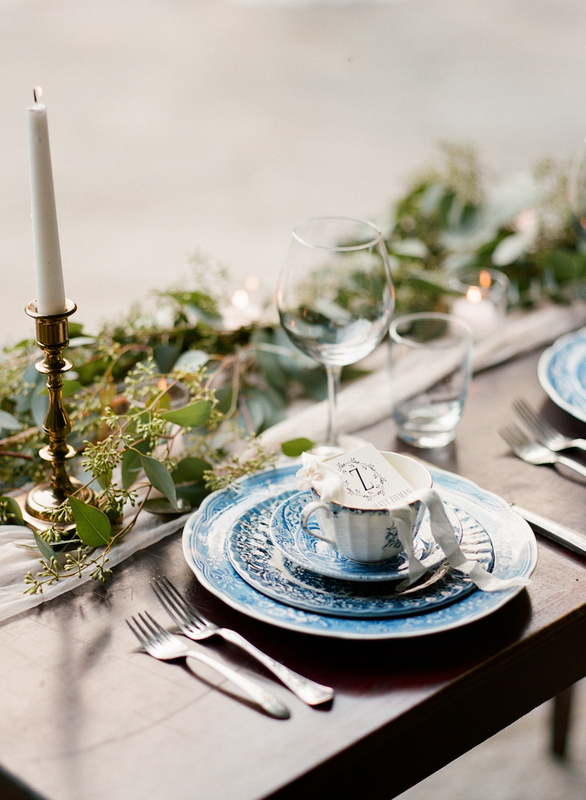 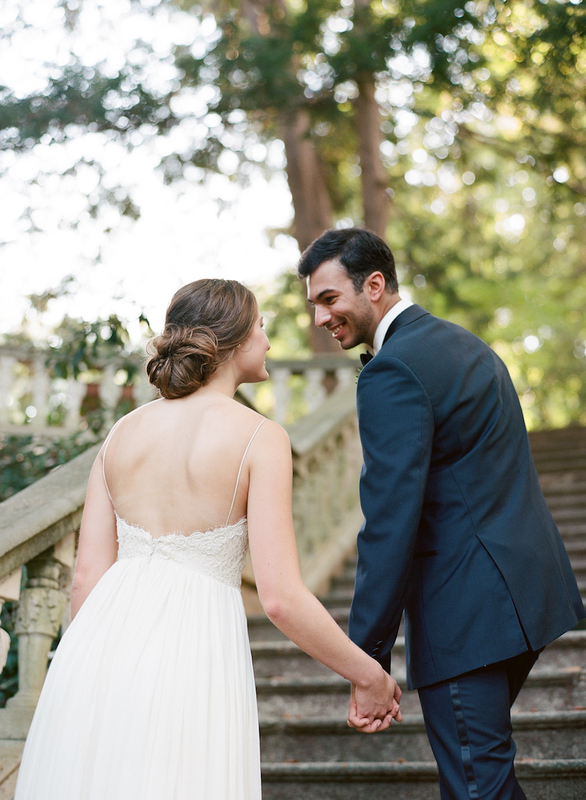 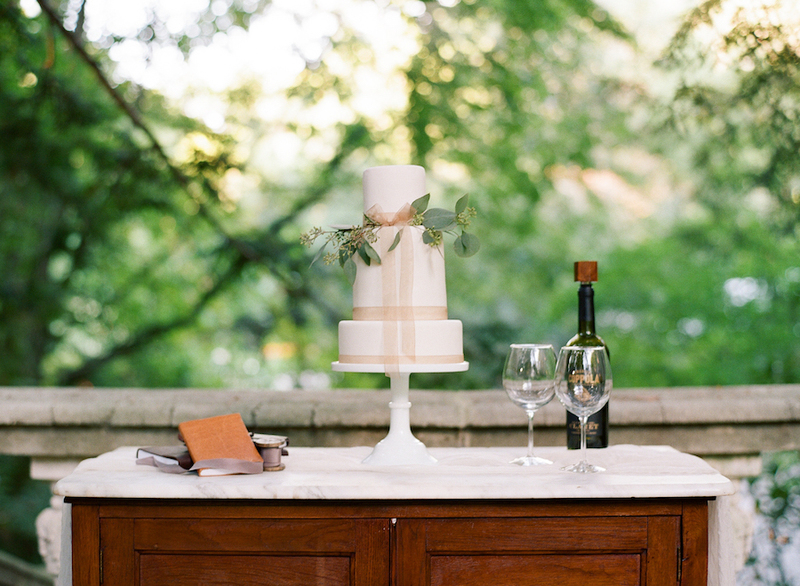 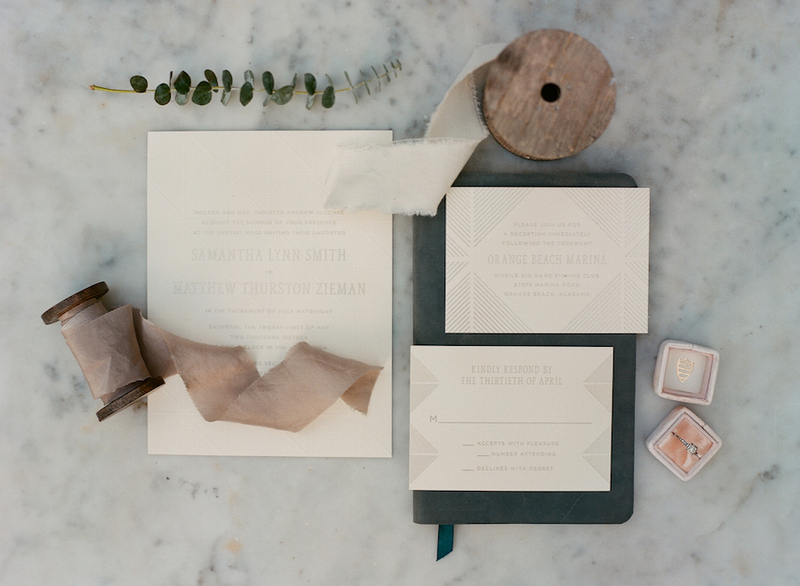 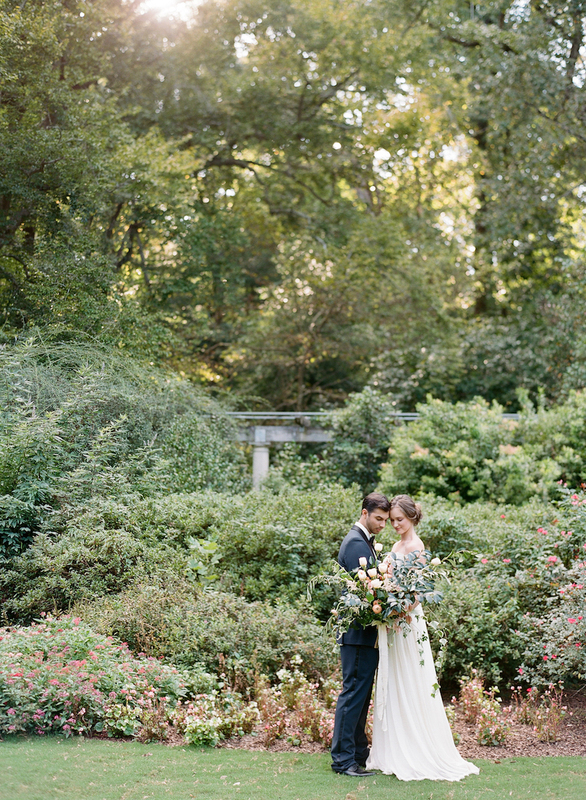 Inspired by an intimate European getaway, wedding planner and designer, Anna Panu of Chancey Charm Atlanta dreamed up this styled shoot at Cator Woolford Gardens with the help of creative friends Mallory Overton, Brie Owens and Lauren Weidley. 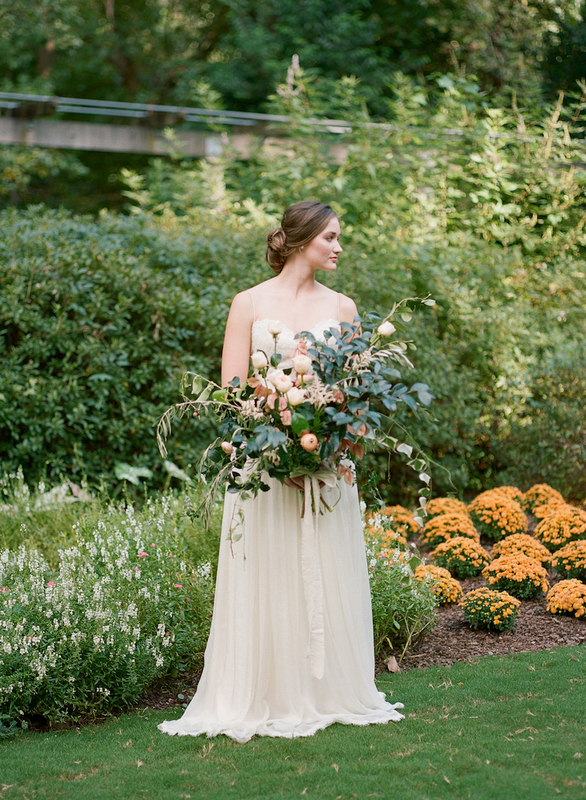 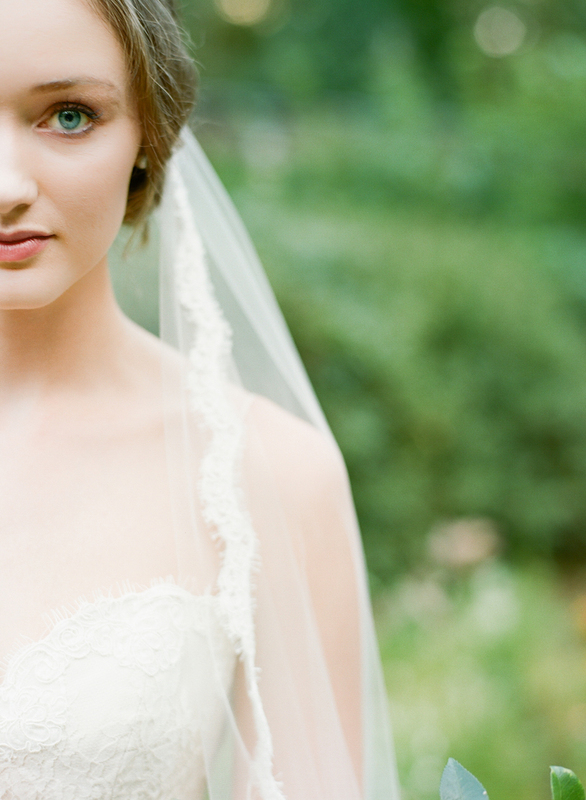 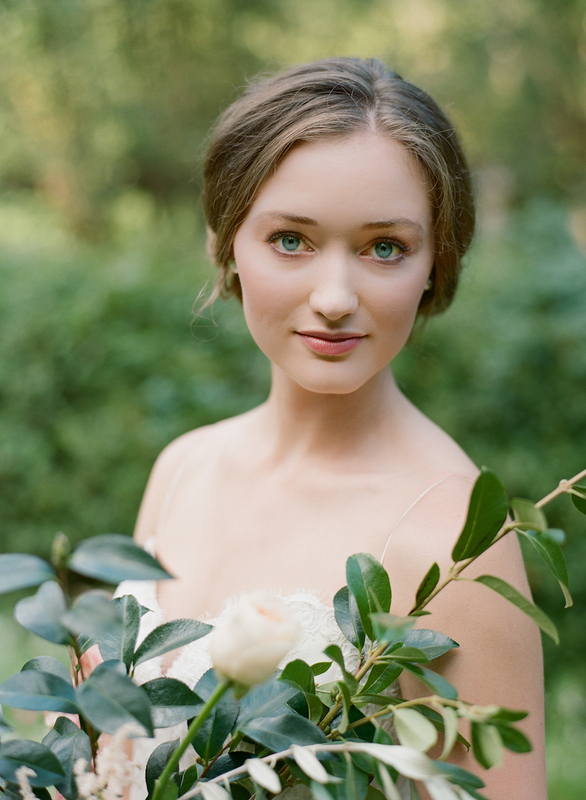 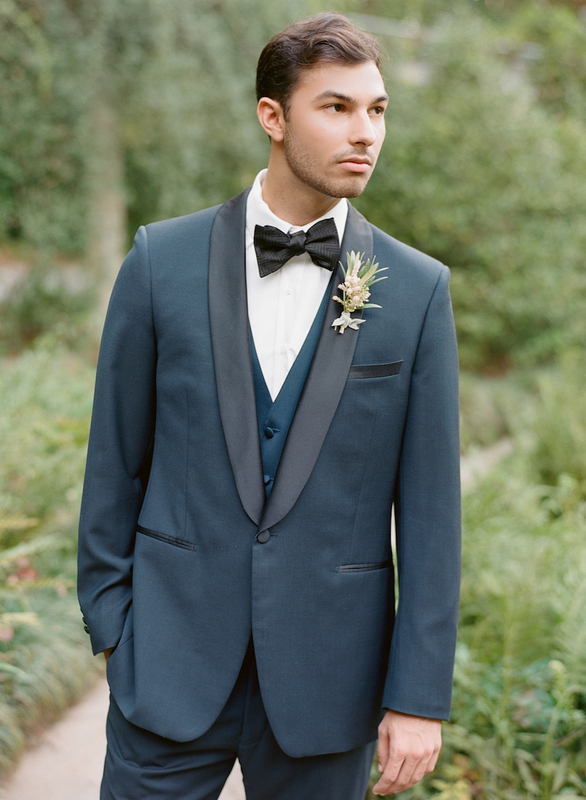 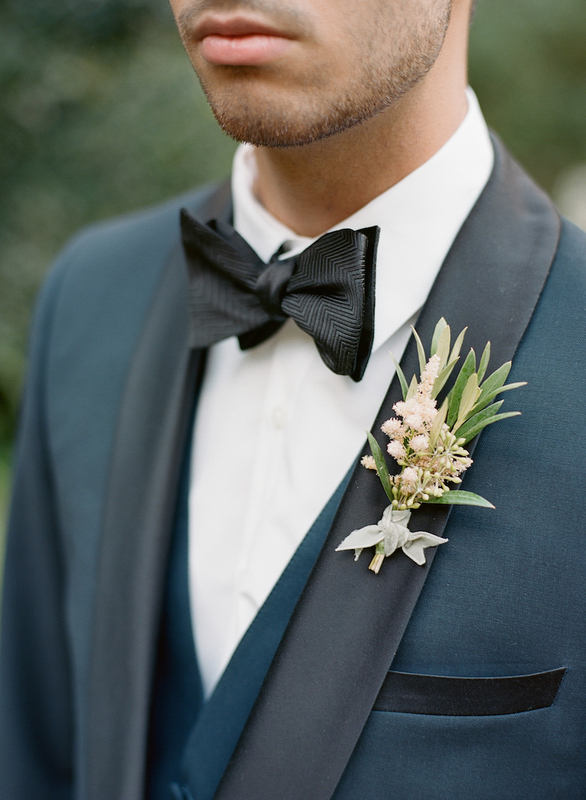 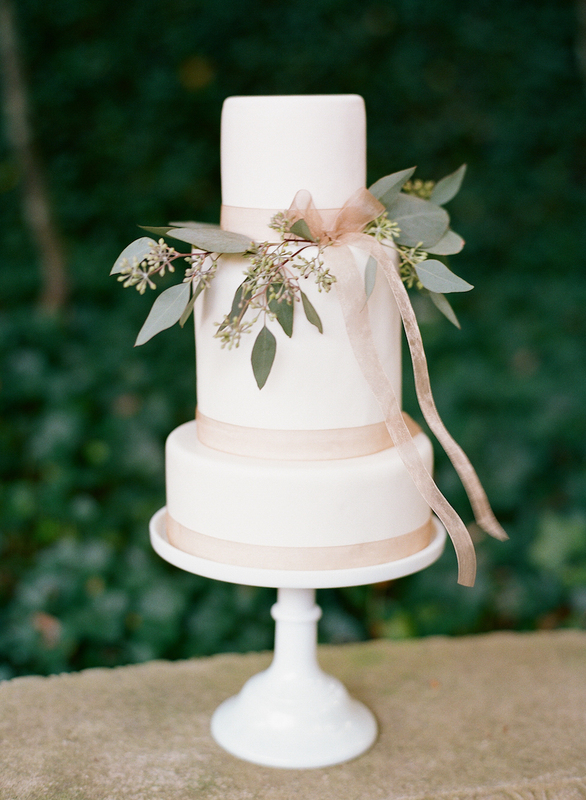 The shoot features many of Atlanta’s top vendors including photographer Anna Shackleford, florist Ayla Gurganus and a stunning Leanne Marshall gown from The Sentimentalist. 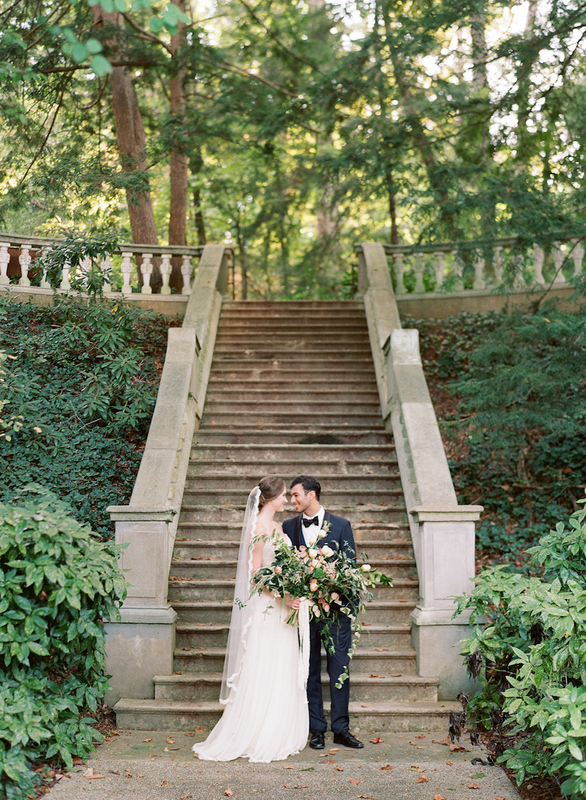 The table for two, elegant staircase and warm navy and blush color palette create the perfect romantic setting for a young love elopement. 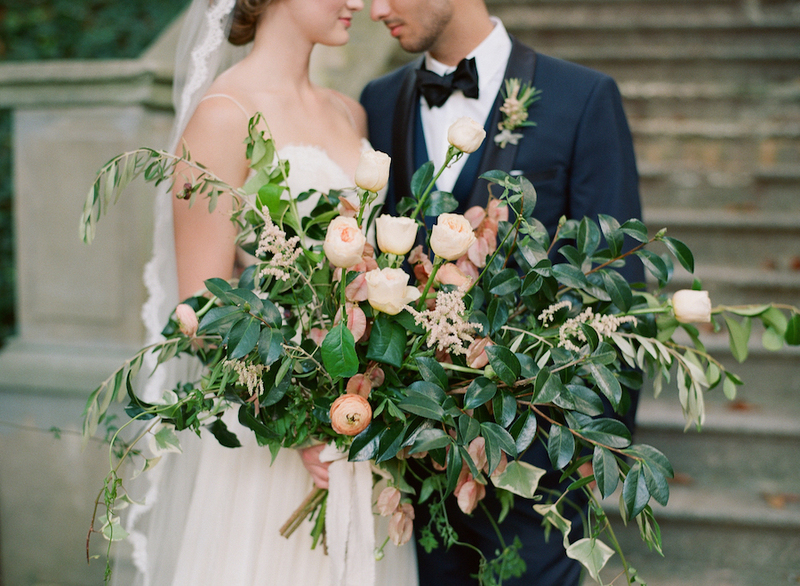 Florals: Soul Flowers by Ayla Gurganus, Books: Claire Magnolia, Paper Goods: Soiree Signatures, Hair and Makeup: Raney O’Keefe, Male Model: Milan with Salt Agency, Female Model: Laura Thomson, Cake: Peche Petite, China: Vintage English Teacup, Tux: The Modern Gent, Dress: The Sentimentalist, Planner: Anna Panu for Chancey Charm Atlanta, Photography: Anna Shackleford, Venue: Cator Woolford Gardens.